With the launch of Intel Xeon Scalable Intel added an intriguing new feature: Omni-Path fabric. 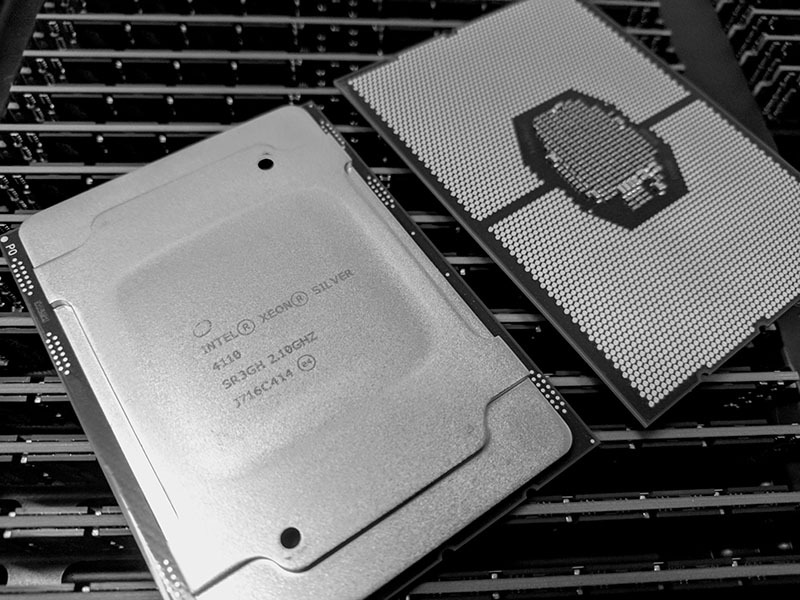 We touched upon the feature during the SKU list and architecture discussions for Skylake. Essentially, Intel is launching “F” SKUs with Integrated Omni-Path fabric. The F SKU variant is interesting for two reasons. First, it adds 100Gbps fabric for only $155 or so per CPU when compared to non-F variants. Second, this 100Gbps fabric does not take any of the standard 48x PCIe 3.0 lanes. Instead, Intel Xeon Scalable F SKUs have an additional PCIe x16 link for this fabric making the effective total PCIe lanes per CPU 64. What we did not realize is that the fabric enabled parts do not work in every server and motherboard for the Intel Xeon Scalable family. Since many of our readers are interested in the Omni-Path fabric (OPA), but do not yet have the hardware, we wanted to show what the OPA SKUs look like. 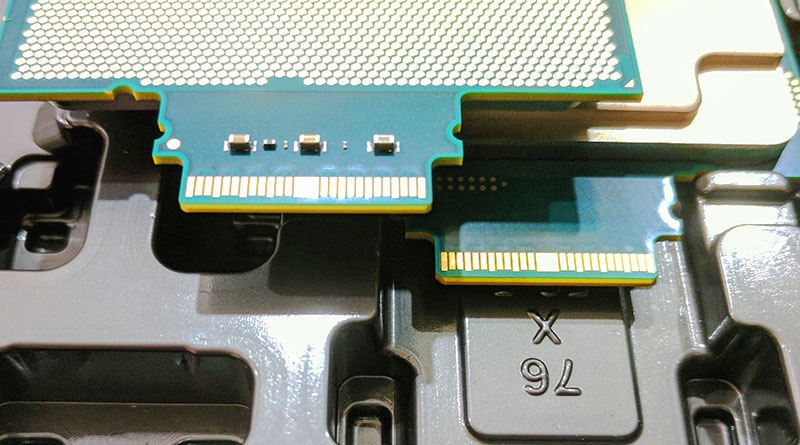 The fabric enabled SKUs have a protruding PCB that allows room for an on-package OPA HFI as well as room for an external connector. One can see that one of the standard notches on non-OPA packages is replaced by the PCB protrusion. As a result, there are two notches on the protrusion which must line up with the retention bracket. Here is an angled view to provide you with a better vantage point of the difference. We oriented the chips so the side where the protrusion is/ would face in the middle of the two assemblies. Different vendors have different retention mechanisms. The Dynatron 2U coolers we are using come packaged with both retention brackets. Our initial understanding that every LGA3647 server and motherboard will accept the Omni-Path fabric SKUs is false. The assemblies do fit. For example, here is the same Dynatron/ OPA enabled Xeon assembly in a motherboard that does not support the fabric SKUs. 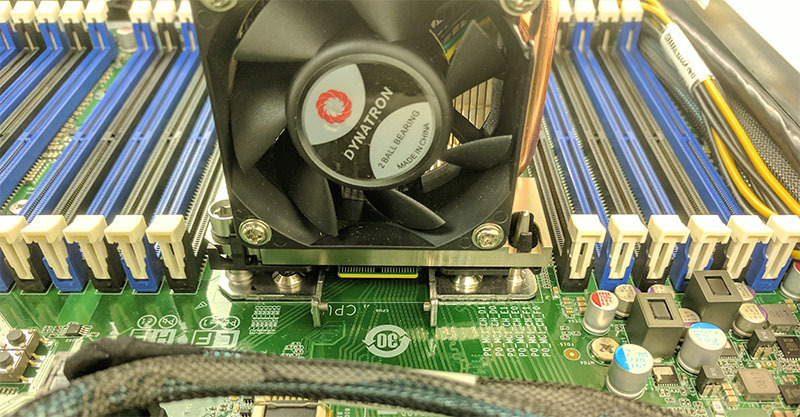 For those who are unaware of how this works, there is a cable that clips onto the Xeon’s protruding connector and into the socket retention. The other side attaches to the OPA ports on the chassis. OPA is not being routed through the socket and motherboard. 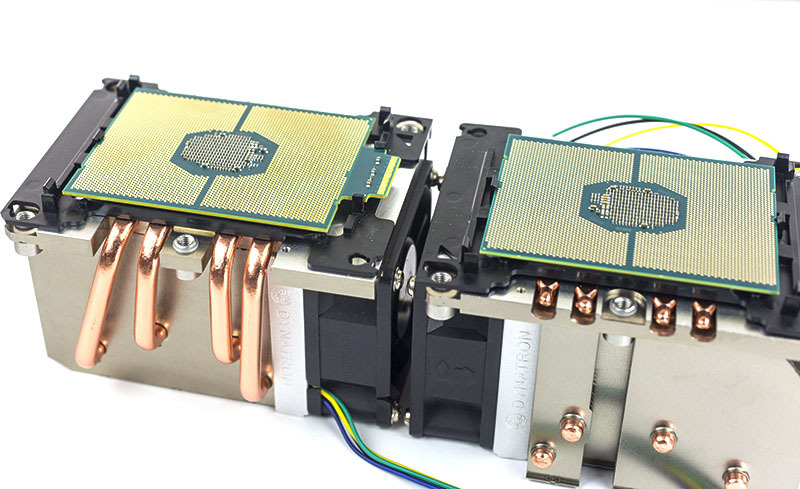 It turns out that there is more than just the right physical socket to support the Intel Omni-Path enabled Xeons. 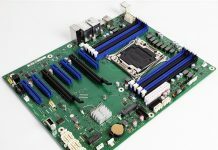 We have been told by server vendors that there are aspects such as additional power circuitry that must be present to for a server or motherboard to support the OPA parts. In order to save costs, especially on systems intended for Intel Xeon Silver and Bronze parts that do not have integrated fabric, server and motherboard makers may elect to forego this additional circuitry to reduce costs. 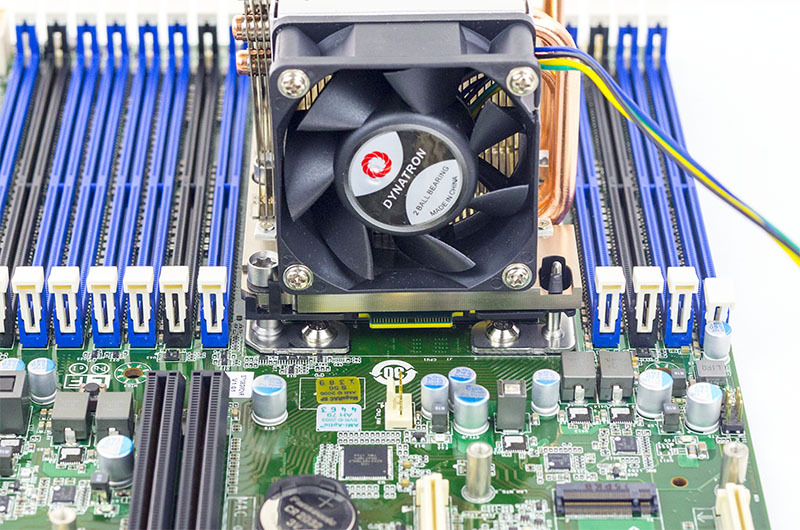 It is a trade-off that makes sense but it means you do need a supporting server/ motherboard for Intel Xeon Scalable CPUs with Omni-Path fabric integrated. There is a lot of misperception in the market that the Omni-Path fabric Xeon SKUs will work in every server. That is false and for good reason. It allows platform vendors to lower BOM and therefore end customer costs. At the same time, it would have been nice to not have to make this distinction while shopping for servers. We acquired a 100Gbps Omni-Path switch for the lab and now have an additional consideration for using it with the inexpensive $155 upgrade F SKUs. Patrick has been running STH since 2009 and covers a wide variety of SME, SMB, and SOHO IT topics. Patrick is a consultant in the technology industry and has worked with numerous large hardware and storage vendors in the Silicon Valley. The goal of STH is simply to help users find some information about server, storage and networking, building blocks. If you have any helpful information please feel free to post on the forums. Omni-Path seems to be a “white elephant” of Intel creation. So, while the low cost of $155 to add 100G NIC is attractive, a NIC that can only talk to a limited network space is not attractive. @BinkyTO iWARP it does. I do agree on the need for an Ethernet gateway. If only they had a VPI like feature that would be killer. @dbTH check out that first image. That is Optane over Omni-Path fabric. 1. Can F processor be mixed with non-F processor assuming both are of the same sku? 2. 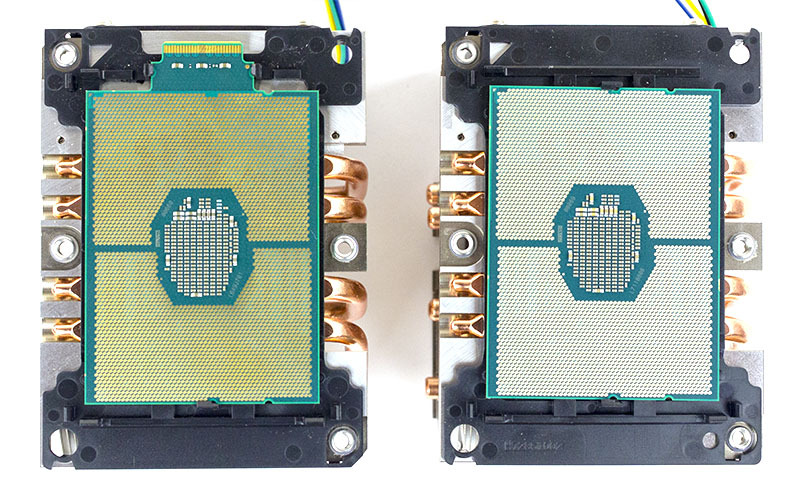 If so, what is the benefit to adopt two F processors? To have two OPA ports? According to TYAN, if both socket support Skylake-F, you can indeed have two links for a total of 200Gbps. Sign me up for the STH newsletter! Get the best of STH delivered weekly to your inbox. We are going to curate a selection of the best posts from STH each week and deliver them directly to you. By opting-in you agree to have us send you our newsletter. We are using a third party service to manage subscriptions so you can unsubscribe at any time. ServeTheHome is the IT professional's guide to servers, storage, networking, and high-end workstation hardware, plus great open source projects.